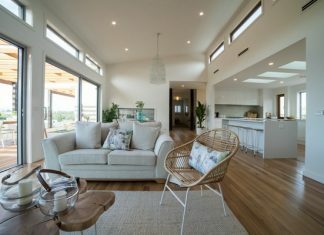 Belinda Menzies’ Clyde North house was still under construction when she first consulted window furnishing expert Ozzie Ozaydin from Oz Style Window Furnishings. Ozzie and Belinda hit it off immediately and collaborated on the design and installation of window furnishings throughout the four-bedroom home. “I enjoy the journey with my customers. 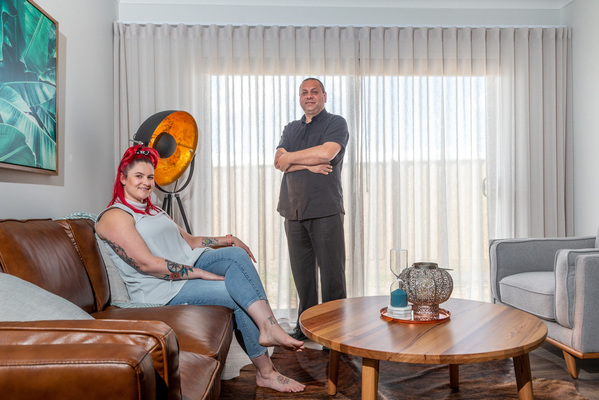 I don’t see them as customers, I view my customers as so much more,“ said Ozzie, smiling as he revisited Belinda for a photo shoot for Homes and Land. Sheer linen-based wave curtains in a driftwood colour adorn the full-length windows in the living areas, paired with quality block-out roller blinds. Ozzie said wave or S-shaped sheer curtains give a depth and fullness that can be varied according to individual taste and combine well with block out roller blinds. “They are an opulent, lavish curtain. The beauty is in their simplicity, their shape and consistency of the wave“ he explained. “At night a quality roller blind of a similar colour behind makes the sheers also come to life. The master bedroom is also furnished with a wave curtain but in a heavier black out fabric. Feature windows in the kitchen, main bathroom and ensuite are furnished with white plantation shutters. Ozzie said while the appearance of curtains was important, so was the tracking systems on which they run. “Design is important but quality tracking systems are vital to how smooth a curtain will glide. After rising to the position of National Operations Manger with Victory Blinds, Ozzie went out on his own and started Oz Style a year ago. “The first thing I ask customers is what is the most important thing to them; block out, black out, filtering light, controlling light or insulation,“ he said. “It is also important to consider the type of windows being furnished, not all windows are the same and as a result some window designs are better than others in pairing up with products. Ozzie said the type of home, the furniture and the decor also need to be considered so everything blends seemlessly. 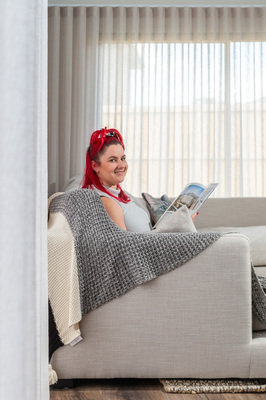 “I love to get a sense of the personality and flair of the people who live there”. Ozzie said based on his experience dissatisfied customers come from expectations not being met, which is generally due to vague or poor consultation. “Customers must be not only be advised of the product’s features and benefits but also the product’s limitations and shortfalls including technical advice on best methods to install the product selected,“ he explained. 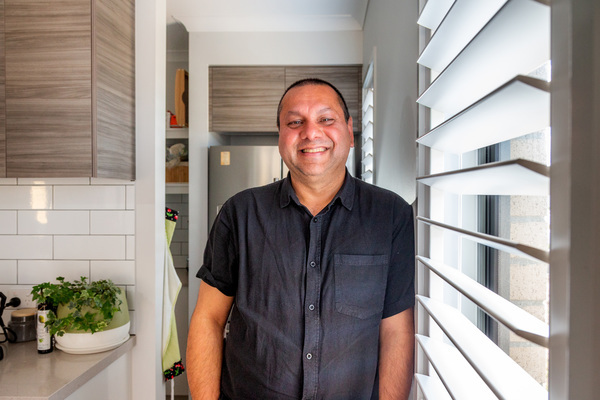 Ozzie advises customers to think about window furnishings early in the building process, do some research and “think about the look you are after that best suits your budget“. “I say take your time to make decisions, not everything has to be done at once. Furnishing your home with window furnishings is something you won’t do many times in your life and once the product is installed it is something you will live with for many years so enjoy the process.